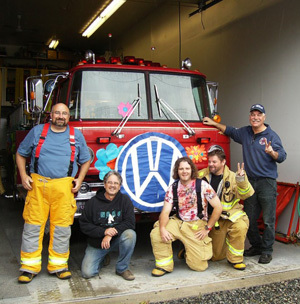 The Tahsis Volunteer Fire Department was established in 1962. The fully equipped fire station has two fire trucks and a full complement of trained volunteer firefighters. The Fire Department also assists with community events such as the Halloween Fireworks, Christmastime Tree Lighting, Parades and Bazaars. Volunteers are always wanted. If this interests you, please stop by the Fire Hall or the Village Office to obtain an application package. Training nights are Wednesdays at 6 p.m.